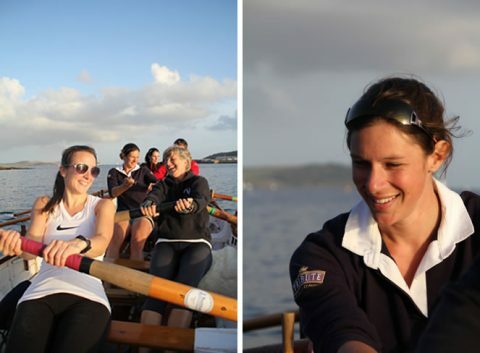 Last week, Seasalt arranged for Annabel Vernon to try out gig rowing with us at FMPGC. Annie is an Olympic rowing Silver Medallist and is currently in training for the 2012 Olympics. She took time out to have a go in a pilot gig – something, despite being a Cornish girl, she’d never previously tried. She also met some of our youngest members who had just finished their own training in our club’s new flashboat.